With its stunning natural setting, culturally diverse - and, at times, turbulent - history, and modern vibrancy, Sarajevo is a busy city which now actively welcomes visitors to its eclectic streets. The Islamic, Orthodox, Catholic and Judaic influences and religious traditions live on side by side here, in the formerly contested capital of Bosnia and Herzegovina set against the misty backdrop of the Dinaric Alps. If you’re feeling up for the challenge, hike up the hill to the old medieval town and the ruins of Jacje Castle, where panoramic views of the city open before your very eyes. Walking west along the main alleyway of Bascarsija, you will notice the architecture change as you move into Ferhadija Street and into the Austro-Hungarian part of the city. 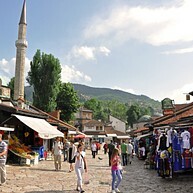 Ferhadija Street is the main pedestrian shopping street in Sarajevo. The streets running parallel to Ferhadija Street are Obala Kulina Bana and Marsala Tita, where you will find many fine examples of Austro-Hungarian legacy. 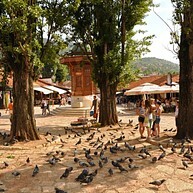 Sarajevo's historic downtown area, the Bascarsija, is a must-visit maze of winding alleys and wooden shop fronts. 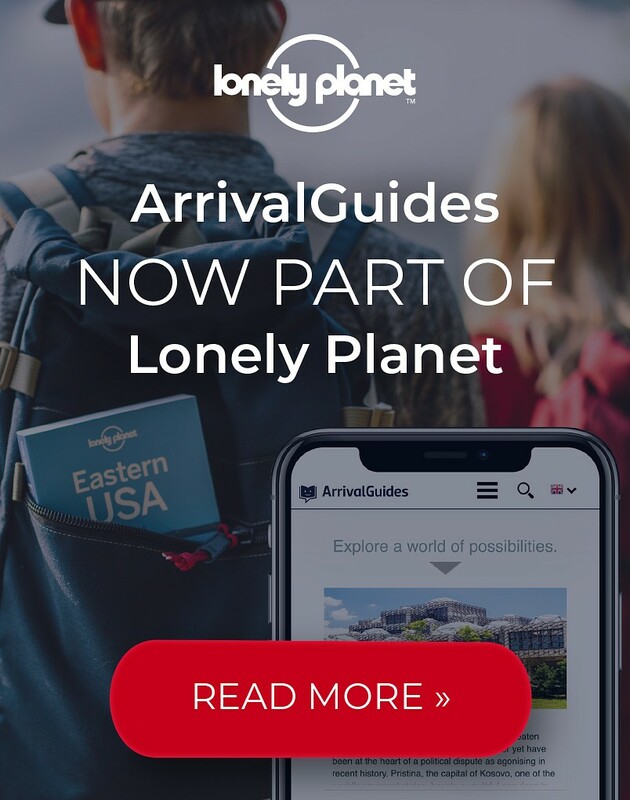 It contains some of the city's finest architectural monuments, along with a multitude of traditional cafés with outdoor seating. Look out for bargains on copper ware. 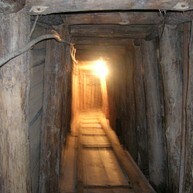 The Sarajevo tunnel was constructed by the citizens during the siege that took place between 1992 and 1995. Serbian forces had entirely cut off the city and this tunnel served as a link between the neighbourhoods Dobrinja and Butmir. This enabled food and aid to come in, and people to get out. 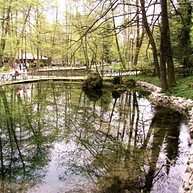 Vrelo Bosne means "spring of Bosna", which gestures towards the location of this park. With its 270 km, River Bosna is the third largest river in Bosnia and Herzegovina. Vrelo Bosne is one of the country’s top natural landmarks and offers a stunning landscape perfect for trekking and relaxation. The Museum is a multi-discipline scientific and cultural institution, home to the 14th-century Jewish Haggadah - a handwritten, illuminated manuscript of the text of the Passover Haggadah. 34 pages of bleached calfskin illustrate key scenes in the Bible, from the creation to the death of Moses. The city is famous for its religious diversity, with adherents of Catholicism, Orthodoxy, Islam and Judaism coexisting here for centuries. This is why Sarajevo is at times referred to as "Jerusalem of the Balkans", or "Jerusalem of Europe". Mosques, synagogues and cathedrals crowd the city. The Austro-Hungarian Empire was a monarchic union that existed for 51 years and dissolved in 1918. The realm included Bosnia and Herzegovina, along with several other European countries. 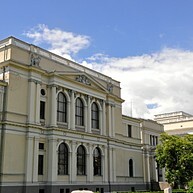 Explore the city’s Austro-Hungarian heritage, including the Presidential Palace and the Town Hall. This compact gallery packs the stories of hundreds of broken lives, detailing the narratives of Srebrenica massacre victims via photographs and documentary movies. To fully grasp the scale of the little-known disaster that shook the country, make time for a visit (audio guide recommended). The bridge itself might not be the city's main landmark, but the events that unfolded here almost a century ago in 1914 led to the beginning of WWI. See the exact location where Franz Ferdinand (the heir to the Austro-Hungarian throne) and his wife Sofia were assassinated on that decisive day. The Gazi Husrev-beg Mosque is a religious monument still in operation, located in the heart of Sarajevo's historic Bascarsija district. The building is a fine example of Ottoman architecture, and its well-kept courtyard is an inviting oasis of tranquility in the city's busy historic center. 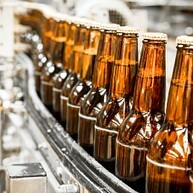 The brewery, which dates back to 1854, is claimed to be the first establishment to start industrial production of beer in Sarajevo. Visit the museum or arrange a tour of the brewery (pre-booking required, minimum group size - 15 people), and conclude the visit at the Pivara's very own restaurant. 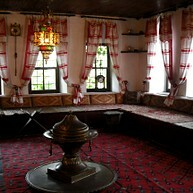 To gain better understanding of old Bosnian lifestyles, visit the beautifully preserved, authentic home-turned-museum Svrzo House. The house gives visitors a good understanding of what a typical Muslim home in the area could have looked like in the late 18th-early 19th centuries. The bastion itself might not be much to look at, but the views that open up beneath are some of the best one can get. Take the walk uphill from Sarajevo's historic old town, passing the sobering cemeteries to those who fell in the Bosnian War, and reach the sole open-air café with unbeatable vistas. 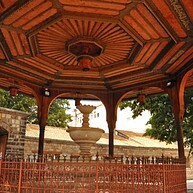 The fountain is a landmark of the old city, with life always bustling around - during the month of Ramadan, until as late as 2am. Travelers wandering around the old town are likely to stumble upon it at some point or another. Water from the fountain is drinkable.